A GUY - A GAL - A PAL - It's Swell! Interesting comparison with "Always" by Spielberg. As many viewers I saw "Always", actually several times, before I even learned about "A Guy Named Joe." It is factual that the later film was a remake of the earlier one, but being in more modern times a significant story difference was depicted. I have no reason to compare the two against each other, for each one is a fine film on its own. 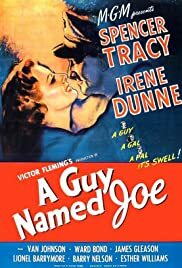 Set in WW II England, "A Guy Named Joe" gets its title from a comment made by one of the British children waiting to talk to Pete after one of his bombing runs over Germany. He told one of the other children, "that's what all American soldiers are called, guys named Joe." There was no actual character named Joe in the film. I had never seen Spencer Tracy in his prime, and he was quite a handsome actor. Now I understand why he was so popular. 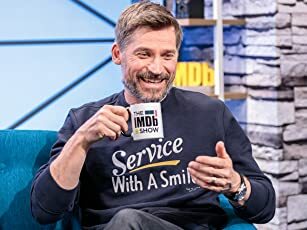 He plays Pete, the pilot who takes unapproved chances to get difficult jobs done. In "Always", Dryfuss as Pete does the same for putting out forest fires. In both films Pete dies during a heroic mission and in heaven is sent to help a novice pilot, who ends up romancing his old girlfriend, Drinda. I understand that at least one viewer who was in WW II thinks this is not a very good or realistic film. Maybe not, but it is still entertaining, and for me interesting to see a film made the year before I was born. Worth seeking out, for anyone who also enjoyed "Always" to see where it came from. Two different films from two different times, both excellent.